Joseph Lade Pawsey (14 May 1908 – 30 November 1962) was an Australian scientist, radiophysicist and radio astronomer. Pawsey was born in Ararat, Victoria to a family of farmers. At the age of 14 he was awarded a government scholarship to study at Wesley College, Melbourne, followed by a scholarship to study at the University of Melbourne. In 1929 he earned his Bachelor of Science degree from the university, followed by an Master of Science in Natural Philosophy in 1931. He was then awarded an Exhibition Research Scholarship to study at Cambridge University, where he worked under the direction of J.A. Ratcliffe. He studied the effects of the ionosphere on radio propagation and his discovery of the presence of irregularities in the Kennelly-Heaviside Layer proved vital to the later development of this branch of ionospheric physics. In 1935 he was awarded a PhD from Cambridge and in September of that year he married Greta Lenore Nicoll, a 32-year-old Canadian. He then became a research physicist at EMI until 1939. In February 1940, Pawsey returned to Australia to work at the recently formed Division of Radiophysics in CSIR (later renamed CSIRO). One group he led developed a microwave set for the Royal Australian Navy while another group under his direction investigated the 'super-refraction' of radio waves in the Earth's atmosphere. Pawsey continued as a research physicist at the Division of Radiophysics until 1962, becoming assistant chief of division in 1952. At the end of World War II he became a pioneer of the new science of radio astronomy, his interest being stirred by the discovery of radio waves from the Galaxy and by reports of intense interference in metre-wave radar receivers caused by disturbances on the Sun. To investigate the latter Pawsey, with Ruby Payne-Scott and Lindsay McCready, used an existing Royal Australian Air Force antenna at Collaroy, a northern Sydney suburb. In addition to confirming that the Sun was a source of radio noise their data also showed that the temperature in some regions of the Sun were as high as one million degrees. This temperature was far higher than was thought possible at the time. Work by the physicist David Forbes Martyn showed that temperatures peak in the Sun's corona at one million degrees. The observations with the Collaroy antenna not only marked the beginning of radio astronomy in Australia, but also the first time radio astronomy had provided important information on a problem in traditional optical astronomy. The introduction of interferometry was probably Pawsey's most important contribution to radio astronomy. In early 1946 he turned his attention to sunspots as a source of strong fluctuating radio noise. To overcome the limitations of the available antennas, Pawsey used sea interferometry and began observations at Dover Heights which provided a better vantage point than Collaroy. The observations confirmed beyond doubt that sunspots were the source of the strong increase in radio noise. This work was confirmed four months later by radio astronomers at Cambridge University led by Martin Ryle. Joe Pawsey was the ... father of radio astronomy in Australia. ... His influence on the growth of radio astronomy in Australia was great because … he just provided ideal conditions, an ideal environment to allow everyone to use their own initiative. ... [He] was a wonderfully inspiring leader, very self-effacing and taking no credit for himself, and he was a delight to work under. ... [His advice] was often very perceptive, very good". The history of solar radio-spectroscopy is mainly the history of Australian work on this subject. At each meeting of the IAU, at each important symposium on radio-astronomy, highly competent specialists such as Wild, Smerd and Christianson, headed by the dynamic personality of ... Pawsey, were able to announce spectacular progress. 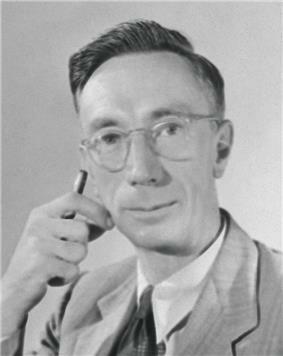 In 1952, Pawsey became president of the Radio Astronomy Commission of the International Astronomical Union, serving until 1958. From 1960 until 1961 he was president of the Australian Branch of the Institute of Physics. He was appointed as director of the US National Radio Astronomy Observatory in 1962, but he died in Sydney of a brain tumour before he took office. He was survived by his wife, two sons and a daughter. The crater Pawsey on the Moon is named after him. Also named after him is the Pawsey Centre, the home of petascale supercomputing facilities and expertise to support international Square Kilometre Array research and other high-end science (based at Technology Park in the Perth suburb of Bentley). Thomas Ranken Lyle Medal, 1953. Royal Society Hughes Medal, 1960. Foundation Fellow of the Australian Academy of Science, 1954.Fellow, Australian Academy of Science (1954). Honorary DSc from the Australian National University, 1961. The Pawsey Medal of the Australian Academy of Science, awarded since 1967, commemorates his contributions to science in Australia. The Pawsey Memorial Lecture is delivered annually by a distinguished scientist. R.N. Bracewell and J.L. Pawsey, Radio Astronomy, 1955, Clarendon Press. J L Pawsey et al., "Cosmic radio waves and their interpretation", 1961, Rep. Prog. Phys. 24. ^ a b c d "Joseph Pawsey: Radiophysicist and Radio Astronomer". Retrieved 2011-02-11. ^ a b c d e Robertson, Peter. "Pawsey, Joseph Lade (Joe) (1908–1962)". Australian Dictionary of Biography, National Centre of Biography, Australian National University, Canberra. Retrieved 10 October 2012. ^ a b c Robertson, Peter (1992). Beyond Southern Skies: Radio Astronomy and the Parkes Telescope. Cambridge University Press. ^ Moyal, Ann (1994). Portraits in science. Canberra: National Library of Australia. p. 43. ^ Bhathal, Ragbir (1996). Australian astronomers: achievements at the frontiers of astronomy. Canberra: National Library of Australia. p. 72. ^ de Jager, C. (ed.) (1965). The Solar spectrum: proceedings of the symposium held at the University of Utrecht, 26–31 August, 1963. Dordrecht, Holland: D. Reidel Pub. Co. p. 4. ^ "Death of Dr J. L. Pawsey, Scientist, 54". The Sydney Morning Herald. 1 December 1962. ^ "Pawsey Centre". Retrieved 2012-10-08. ^ "Two scientists honoured", . ^ Thomas Ranken Lyle Medal, Australian Academy of Science, retrieved 2010-06-06. ^ "List of Fellows of the Royal Society, 1660–2007" (PDF). The Royal Society. Retrieved 6 October 2012. ^ "Matthew Flinders Medal and Lecture". Australian Academy of Science. Retrieved 18 September 2015. ^ "Deceased Fellows and memoirs". Australian Academy of Science. Retrieved 6 October 2012.